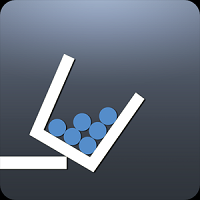 It is basically a puzzle game that is based on the physics, a branch of science that we all love to read. In this game you have to draw a design or a shape to solve the puzzle according to the game. An interesting fact is that it looks so easy that many of you will think, “I will possibly solve these puzzles in an hour”, but it’s not. Brain it on is a game in which you can compete with your friends and share your unique solution with them. If you dont like ads in between of your game and want solution of each puzzle, you can purchase it at a cost of Rs. 46.33  200 per item. I bet, you have never heard or played this game before. It has been rated 4.7 in Google Play store and has been downloaded over 1,000,000 times across the globe. This game is based on the movie Wizard of Oz , and have characters which resemble to the movie. If you have watched this movie before your interest level will reach to greater heights and you will like this game very much. 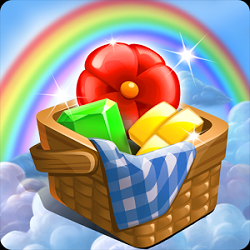 Wizard of Oz has both adventure and puzzles to solve, leading in unlocking new levels. It take turn into the real life when you battle against the Wicked witch. If you are interested in solving puzzles too deeply than you all must try this game. In this game you have to save flower by connecting those pipelines in best possible ways. If you have great skills in solving plumber puzzles, this game reveals your all special skill. 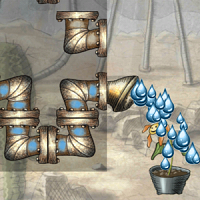 The gameplay of this game is too simple, all you need is to just touch each piece and rotate it around to make a complete pipe and save the flower by supplying water into it. Plumber has a total 200 levels for free and crossing each level difficulty increases. 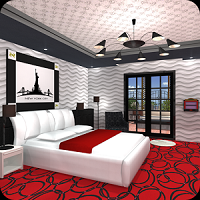 In this game you have to escape from the beautiful hotel and find the items as per the rules of the game. It is very simple and easy to play, you have to just tap it, if you want to magnify images, just tap twice in the item. According to the reviews of the game, it seems that it has a good graphic quality and auto save option are liked by the gamers. Do you remember, you have played this game at the end pages of your notebook  X and O or someone remember by noughts and crosses. Tic Tac Toe has forced us to keep this game in the list of top 5 Trending puzzle games on Android. Various levels and in each level difficulty increases. Its basically a multiplayer puzzle game. A new feature i.e. Different theme or skins. And at last, you will get a report of your performance. As you all remember, this game is played by the two players and X or O is selected individually. A 3×3 matrix is made and the player which made O or X in vertical or diagonal or horizontal directions 3 in a row respectively wins the games. 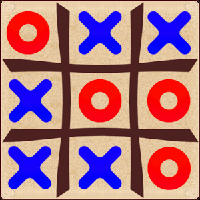 Tic Tac Toe is played when you have free time or you have to spend time with your kids. Stop wasting paper and play this game on Android devices. It contains different levels of difficulties i.e. Easy, medium, and hard. Hope you all liked our list of Trending puzzle games on Android. Dont forget to like our page to read such types of interesting articles. Facebook Privacy feature that is especially for women living in India.